Happy August everyone! Where has the year gone hey? Today has been pretty much the hottest (and windiest) day of the year, and my lovely other half has been trying to to take photos of me in our garden with my hair flapping around and going crazy in the wind! Ha ha! The reason for this is I’m holding a fabulous giveaway for you today! 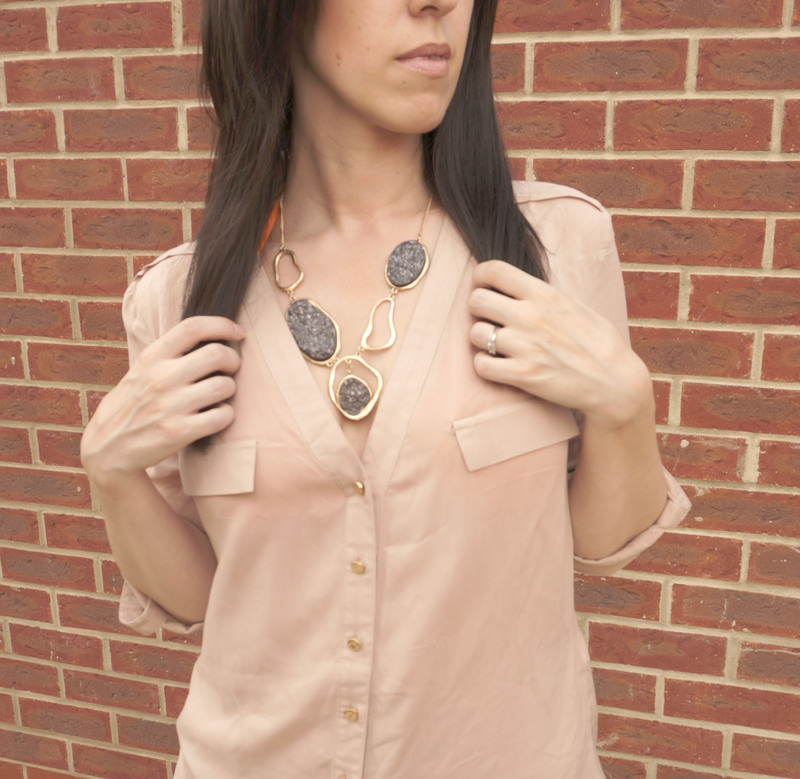 The lovely Zoe from Zoejewel.com has sent me this beautiful Adele Marie Hematite Lava Stone Drop Necklace by Majique which I wanted to show off to you all – hence the windswept photo shoot! And I’m so excited that I have one to give away too! What do you think? 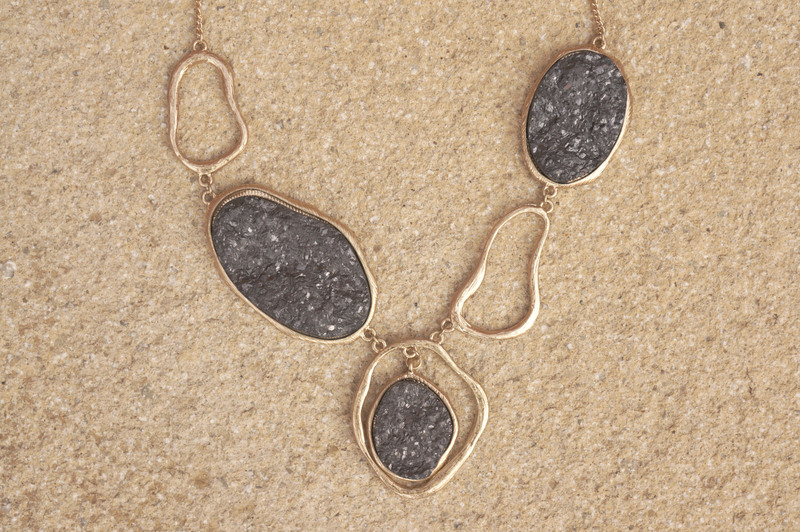 I love this necklace, it’s so chic! Also, I’m celebrating myself as I’ve recently reached 500 followers on Bloglovin! Thank you!! 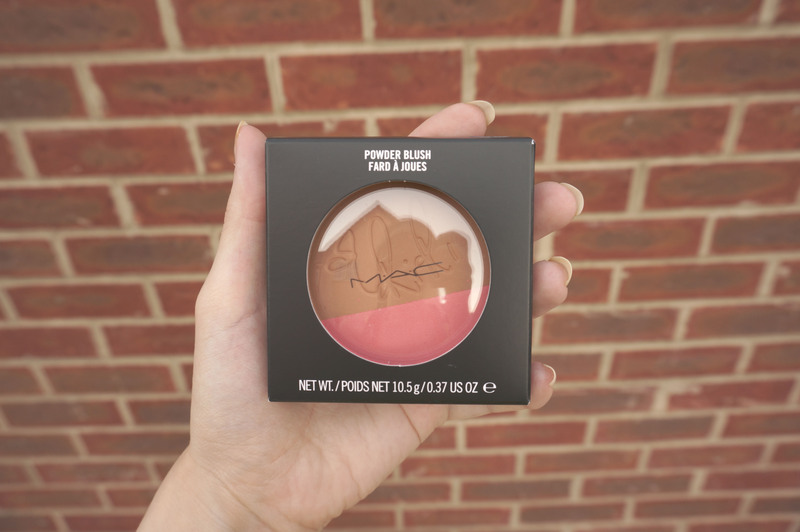 As my own personal thank you to you lovely lot I will be including a brand new Riri Loves MAC Powder Blush Duo in Hibiscus Kiss in the giveaway too! 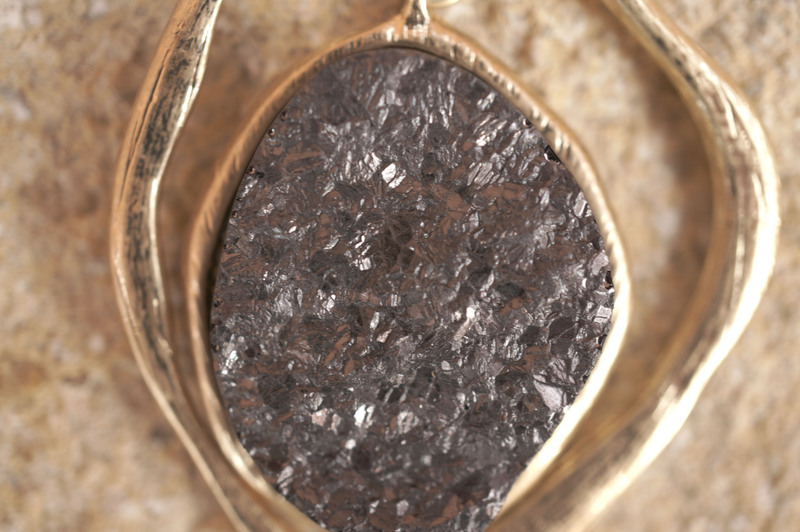 Here are some close up’s of the gorgeous necklace! And the MAC Riri Blush Duo! This is sold out now by the way! All you have to do to win this beautiful necklace and blusher duo is enter the rafflecopter giveaway below! The winner will be chosen at random on 31/08/13 and the giveaway is open internationally! Another gorgeous item of jewelry, thanks for the giveaway! I am unable to follow you via GFC, Please send me the link ..